I'm sure a few of you may have been wondering why there have been no new postings on the blog for the last few weeks. There are two reasons for this. 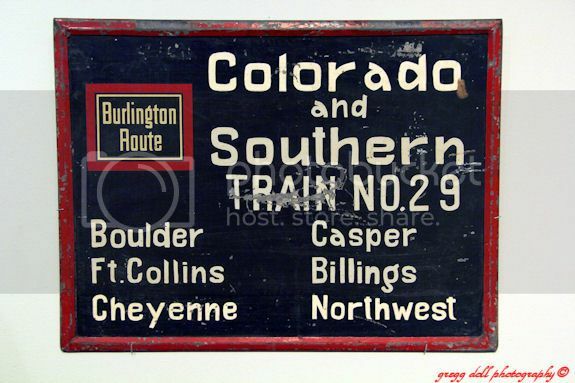 First, we were out visiting in the Denver, CO area for several weeks and second the program that I had loaded on my laptop that would have allowed me to re-size my pictures didn't work. So now, we will play catch-up. 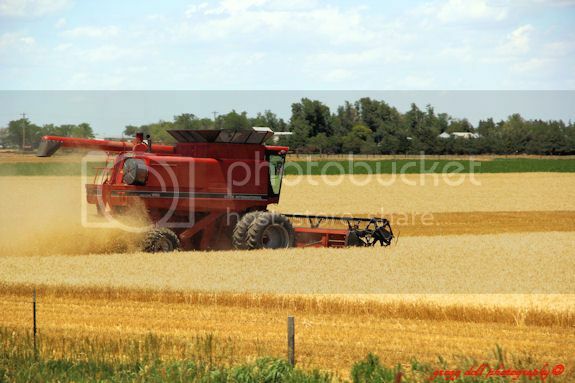 Harvesting amber waves of grain in Missouri. 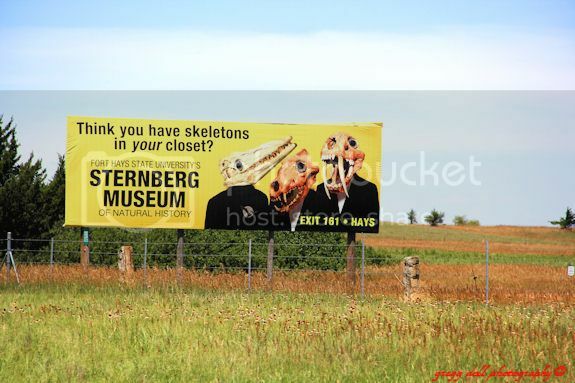 A billboard along the road for Sternberg Museum. Most of the billboards that I'll post over the next week or so were all shot while we were speeding down the highway at about 70 mph, on average. Exiting Missouri at Kansas City. 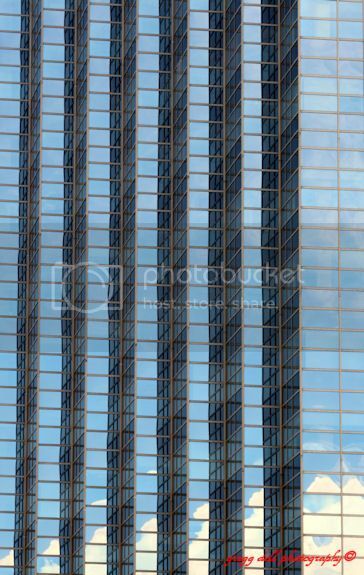 Just beyond these tall buildings is the state of Kansas. 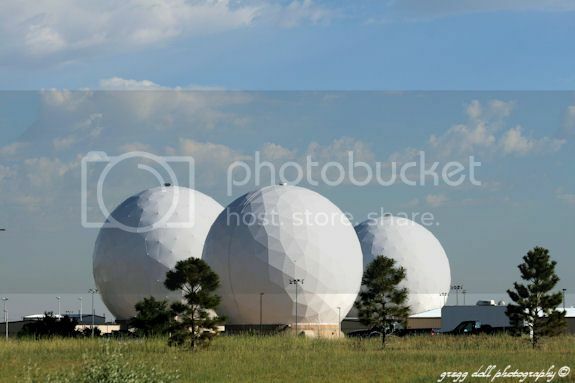 These three domes are part of the 460th Space Wing of the United States Air Force Space Command at Buckley Air Force Base, Aurora, CO.
Reflections on a tall building in downtown Denver. 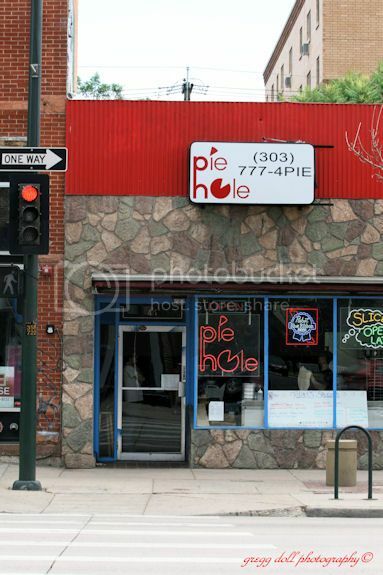 The Pie Hole, one of the local restaurants along Colfax Avenue in Denver, CO. 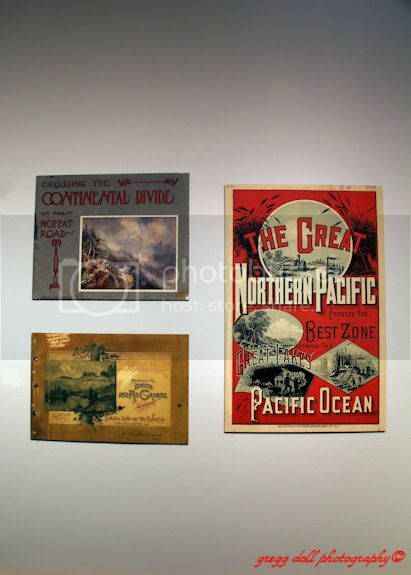 The next two photographs were shot while touring the Denver Public Library Artistry of Railroads exhibit. 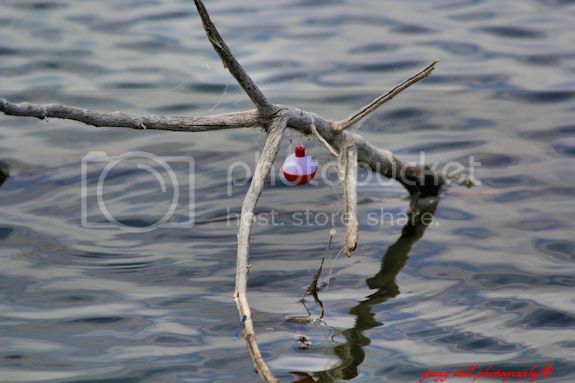 Bobber on a stick shot at Lake Mary in the Rocky Mountain Arsenal National Wildlife Refuge. 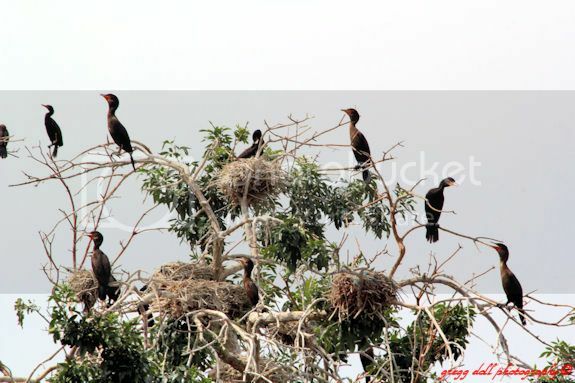 Double-crested cormorants nesting in a tree just behind the Denver Zoo. You have such a good eye. The picture of the Denver building and of the bobber in the water show that. 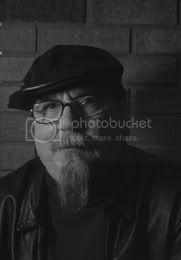 I really enjoy the kinds of pictures where much of the real creativity was in the seeing.